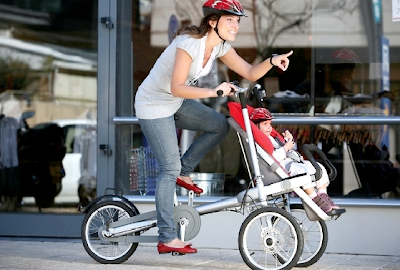 Why am I now just hearing about this bike stroller? (That's what I get for skipping the ABC Show last year). Anyways, this is a pretty interesting concept, which although pricey ($1495), seems pretty darn functional and fun! 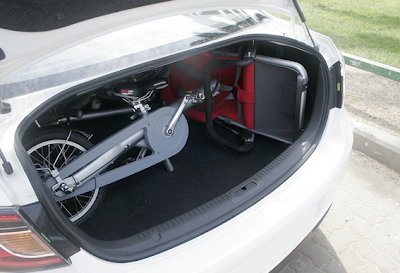 "Taga is a multifunctional vehicle designed for families on the go. It is a baby stroller and carrier bike rolled into one - and a means of transportation unlike any other." Literally it is a bike that transforms into a stroller. 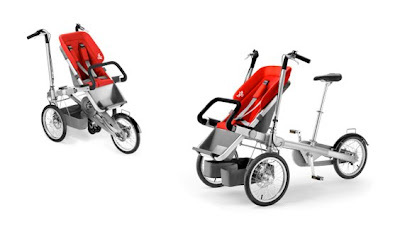 Yes like a stroller transformer! And in 20 seconds no less! (here is the YouTube video). 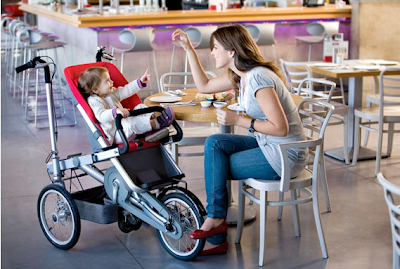 The modular design lets you use it with newborns, 6 year-olds, 2 children at once, and for groceries and more! Click here to read all the details about this amazing product direct from the manufacturer. 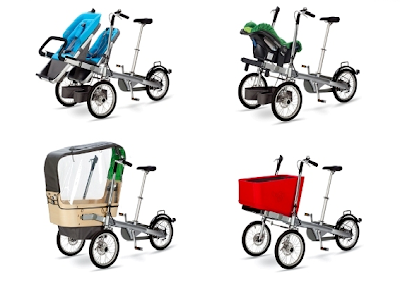 Now I have not taken one on a test drive yet so I can't speak from experience, but I think something like this would be great down here in Manhattan Beach or anywhere that you can bike to the store, a farmer's market, friend's houses, or the park. 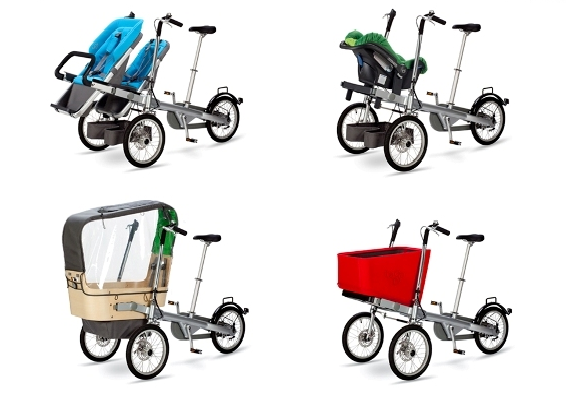 I would not get his in place of a stroller because it does look pretty big, but if you have some extra cash lying around and don't have a bike, looks like a good idea. Looks like it even fits in the trunk of a car!? I've gotta see this thing in person, will let you know when I do. I saw it in person at Spoiled Beginnings in Newport Beach....it is AMAZING!! !